She’s not giving up just yet. Britain’s worst learner driver fails theory test 113TH time. 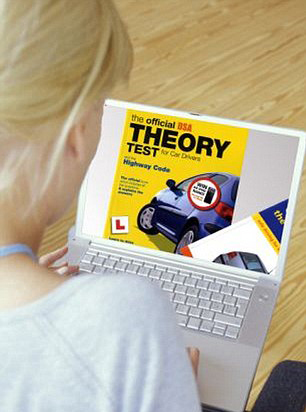 She was dubbed ‘Britain’s worst learner driver’ last year after failing her theory test a whopping 110 times. But the unidentified woman is not giving up just yet. Incredibly, the 30-year-old, from Southwark, south-east London, has failed the test a further three times – taking her total number of unsuccessful attempts to a record 113. Her determination has cost her £3,500. And even if the woman eventually manages to prove that she knows the rules and dangers of the road by passing the test, she still has her practical driving exam to overcome. The driving theory test comprises two parts: Multiple-choice questions and a hazard perception exam. Nationally, it has an average pass rate of 51.6 per cent. Last October, the price of the test was lowered from £31 a time to £25. This means the female learner – who took her last three tests in 2014 – has spent a minimum of £3,485 and up to £3,503 trying to pass it. Amazingly, if she had started sitting the exam at the minimum driving age of 17, she would have sat it more than eight times a year for the past 13 years. Although no other learner has come close to the woman’s astonishing number of attempts to achieve her driving theory certificate, several seem to be trying their best. A 30-year-old man from Peterborough has failed the theory test 86 times, while a 41-year-old learner from Birmingham was likely ecstatic after passing on his 80th attempt. A 27-year-old man from Haverfordwest in Pembrokeshire, Wales, and a 39-year-old man from London have both failed their 66th attempts to pass the exam this year. And a 47-year-old male learner from Reading has struggled through 61 tests without any luck.